I had originally planned to visit this venue as part of my #7weeksofparkrun challenge, but when I was due to run my 'a', the event was cancelled due to another event taking place so I had to go elsewhere. 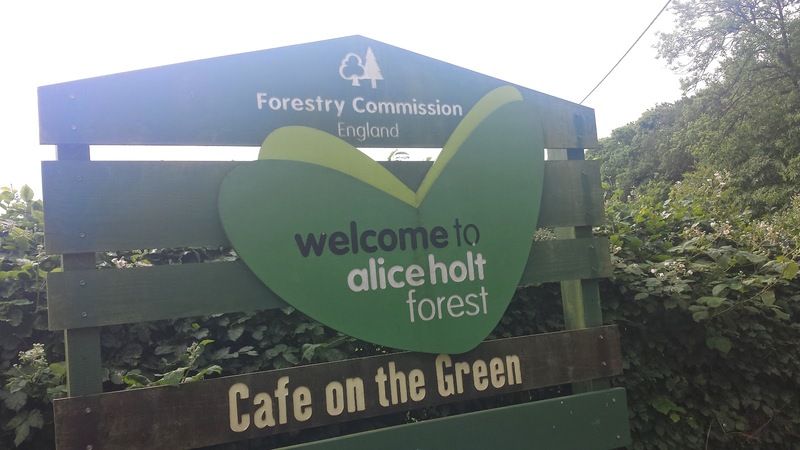 Alice Holt Forest is in Surrey. Or Hampshire. It's a little confusing. 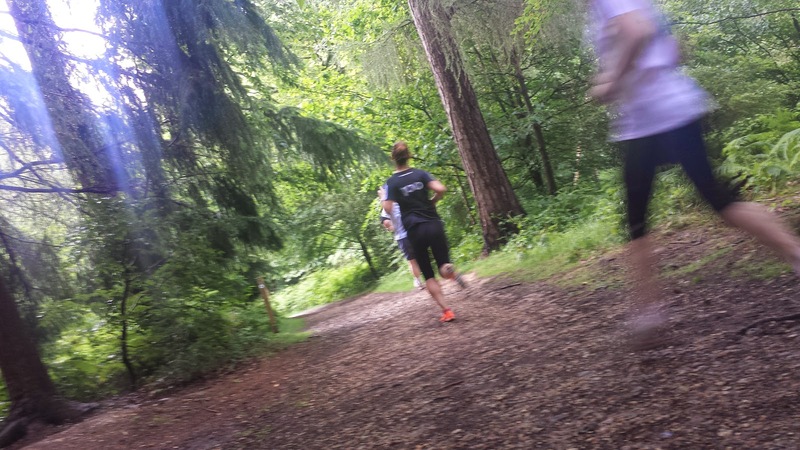 The official parkrun page has it down as being in Surrey. The Forestry Commission has it listed as Surrey on one page and as the Surrey-Hampshire border on another page. However Google maps have the Hampshire-Surrey border marked just outside the grounds of the forest with the forest sitting on the Hampshire side. Also, a few miles before reaching the forest you actually pass a sign that says 'welcome to Hampshire'. 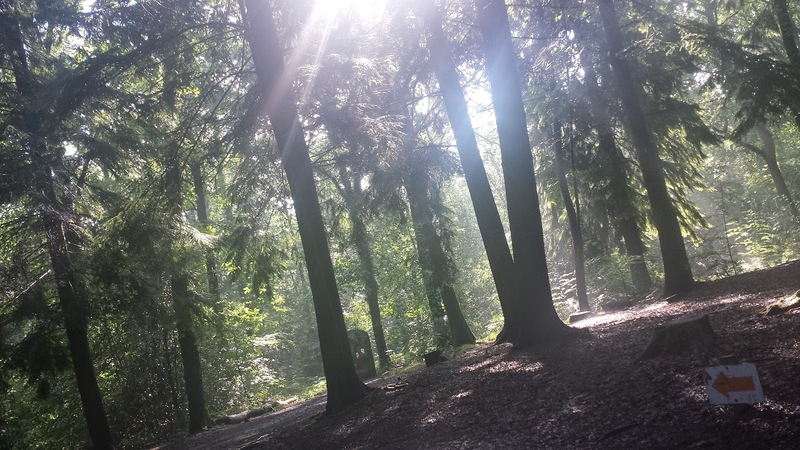 The 850 hectare forest attracts 290,000 visitors every year and has 8 miles of waymarked trails for both walking (running) and cycling, as well as tracks open to horse riders. The forest name has changed over the years, first being recording as in 984 as Ælfsige, before evolving through Alfsiholt, Alfieseholt in 1242, Halfyesholt in 1301, Aisholt in 1362/63 and finally, in 1373 it became known as Alice Holt. On 31 March 2010, it became part of the South Downs National Park. i'm lost in a forest..
During the time of William the Conqueror, it was subject to Forest Law, which served to protect game animals and their forest habitat from destruction. It remained a Royal Forest thereafter. From the 1770s, the forest was used to provide oak for the Royal Navy - Many Tudor and Napoleonic ships were made from these trees. Some trees were restricted by chains to make them grow into the different shapes of timber needed for shipbuilding. In more recent times, oak from the forest was used to build the replica of Shakespeare's Globe, in London. Upon arrival at the forest, I parked in one of the three on-site car parks and paid the fee (remember to bring change for the machine). As of June 2014, the charges are £1.50 for up to an hour, £2.50 for up to 2 hours, or £4 for up to 3 hours - there are further charges for longer periods. 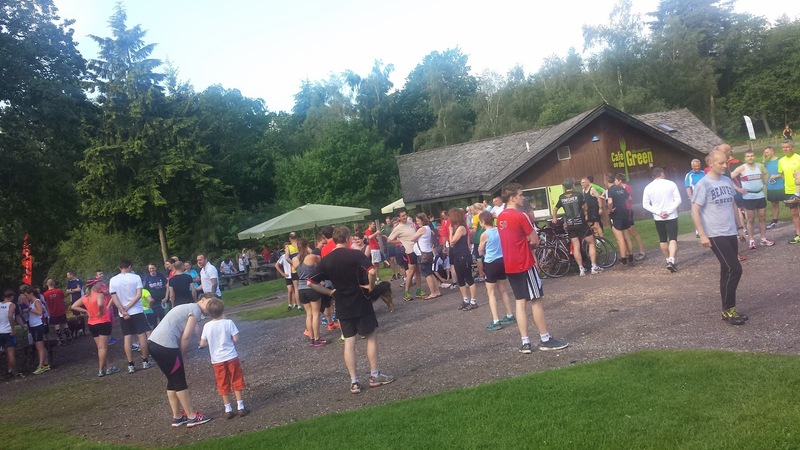 The toilets are located in the main central area, which also contains the cafe, a playground, bicycle racks and is the meeting point for Alice Holt parkrun. The nearest train station is Bentley, which is 3 miles away. At about 8.52am there was a 'new runners' briefing, which is a little more detailed than the main briefing and I found it very useful. Some parkruns do this and some don't, but this is one of those venues where it really came in handy. The proper run briefing took place shortly after and we were then lead across to the start area. 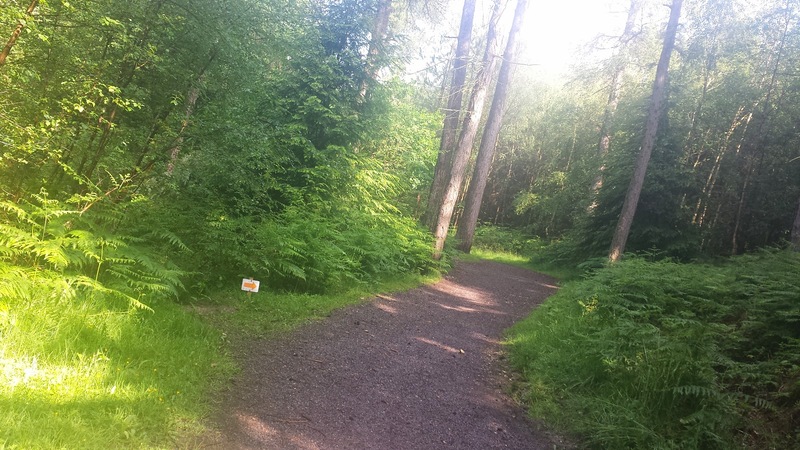 As far as the forest paths go, this start area is about as wide as they get and the opening stretch gives plenty of width for the runners to fall into an appropriate position before hitting the first corner and the width of the paths reduces. 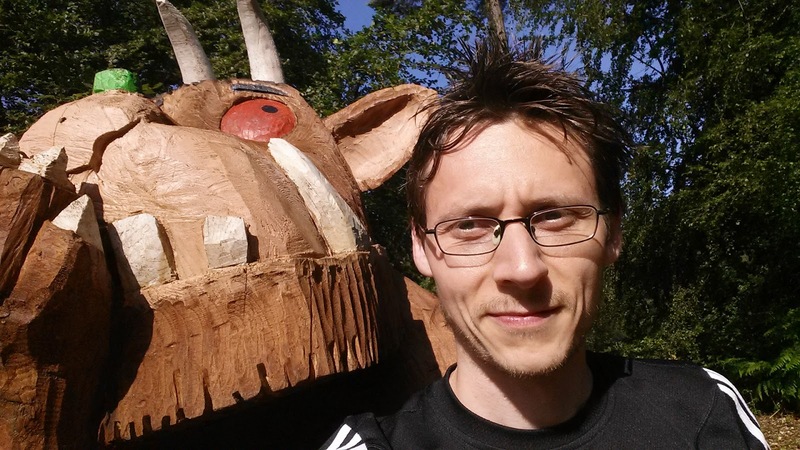 I should say that being in a forest, this is a course where trail shoes could come in handy. Most of the paths are fairly compact underfoot with bits of stone mixed into the surface (I don't know the official name for this type of path - maybe I should look it up) so in the warmer months road shoes would suffice. 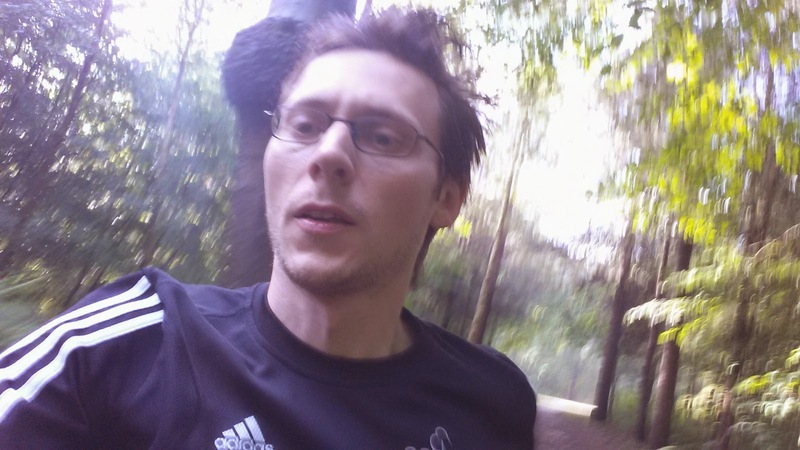 Depending on your point of view, the course is either hilly, undulating, or playful - as described by Danny Norman on the parkrun show episode 63. I'd go for somewhere in between undulating and hilly - saying that, I don't think there is a single flat piece of ground during the whole run. If you are a buggy runner, you'll get around, although if you are attending in the wetter months I would double check the course conditions before running. As always with forest courses, they can be hard to describe in detail. It is a two-lap course through the forest which is mostly now plated with conifers - 2,100 acres are now Corsican Pine and 350 acres are still Oak. I think the parts the run goes through are exclusively pine. The first kilometre is largely downhill, but towards the end, it changes to an uphill which lasts the entire 2nd kilometre, the third again is largely downhill. The fourth kilometre contain a bit of both, and the fifth is the flattest of the bunch, but still not flat. On the way round be sure to look out for the Gruffalo - but as it has been pointed out 'didn't you know, there's no such thing as a Gruffalo'. Also at one point during my warm up lap, a deer shot across the path right in front of me - I pretty sure that I would have been damaged beyond repair if it had run into me. So watch out! Something they have done here to make the run even more inclusive is that there is a special finish funnel for those who only want to complete one lap - of course, there's no official result etc etc, but it is a really nice touch and one that would be nice to be seen repeated at other courses. I found that the trickiest parts of the course weren't the uphills - there are a couple of fairly steep downhill parts that are uneven underfoot where runners may find themselves braking rather than letting gravity pull them along. 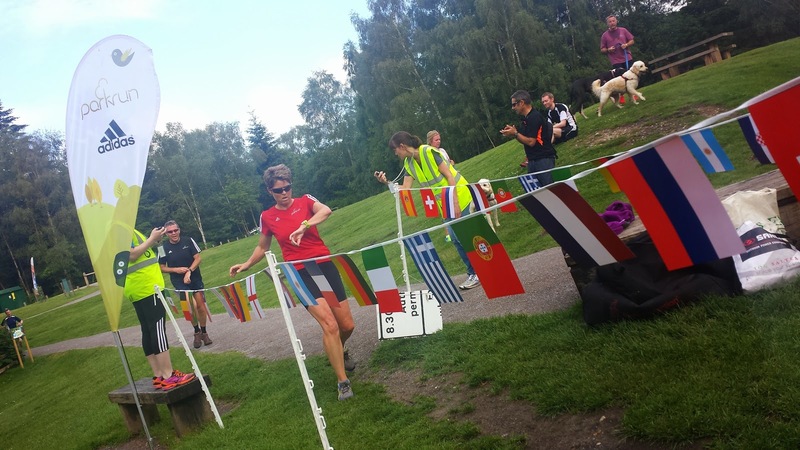 This venue attracts a decent number of runners and on the week I visited, 158 people completed the full 5k course. It's a lovely but challenging course and the surroundings are peaceful and beautiful. 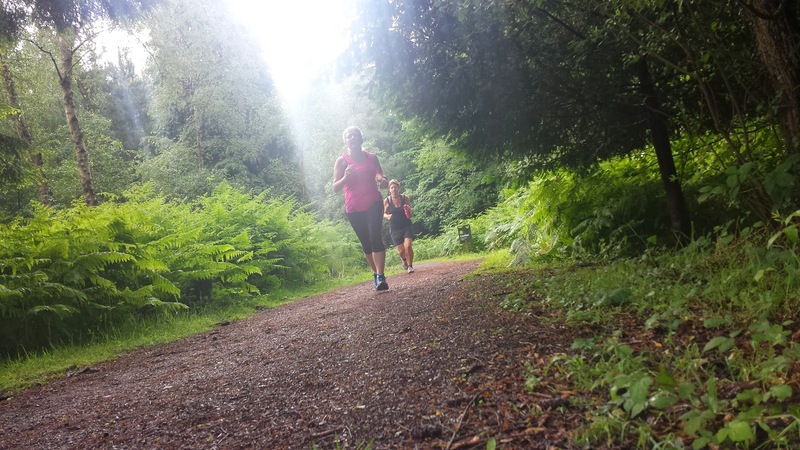 If you haven't already visited, get yourself down here for a run through the forest! You won't regret it (unless a deer takes you out).